Mix and match your DESSO Essence carpets! Check out all our restyled Essence collections and discover endless ways to combine in colour and style. 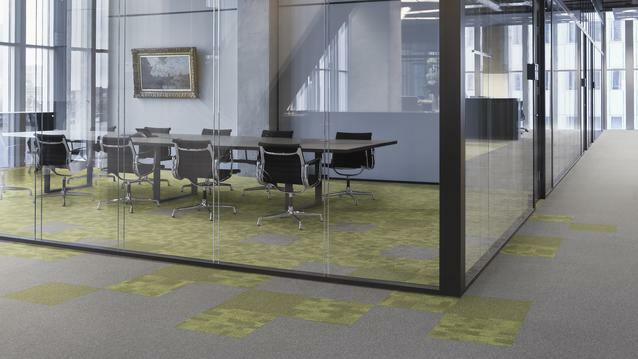 The Desso&Ex collection is a cut pile broadloom carpet and made-to-measure carpet rugs collection. It is the result of a successful collaboration between Tarkett and international interior architects studio, Ex Interiors. The Desso&Ex collection offers 115 different designs in near endless combinations for a modern and layered scheme. It encourages playful flooring themes created to highlight - or contrast - key elements within the space with a neutral hue offset against a spectrum of patterns and brought to life in five different soft colour ways; Stone, Carmine, Amber, Leaf and Indigo.